WordPress Plugin v2.5, Hot Off The Press! Lots of small improvements and fixes to the way the sync queue operates to avoid overloading your site (and ours) and to increase the success of requests. * We’re going to be releasing an update in the near future, once we sort out a few remaining issues with the Trash functionality. When you upgrade to WordPress 2.9 (once it’s released!) you’ll also want to upgrade to that new version. This version of the plugin has gone through a load of testing on WordPress versions 2.5, right up to the current “trunk” and WordPressMU version 2.6 to the current release (2.8.5.2). We’d like to note that in the next versions, we’re going to drop support for versions of WordPress below 2.7, so if for some reason you’re running an old version of WordPress, we’d strongly recommend that you upgrade! 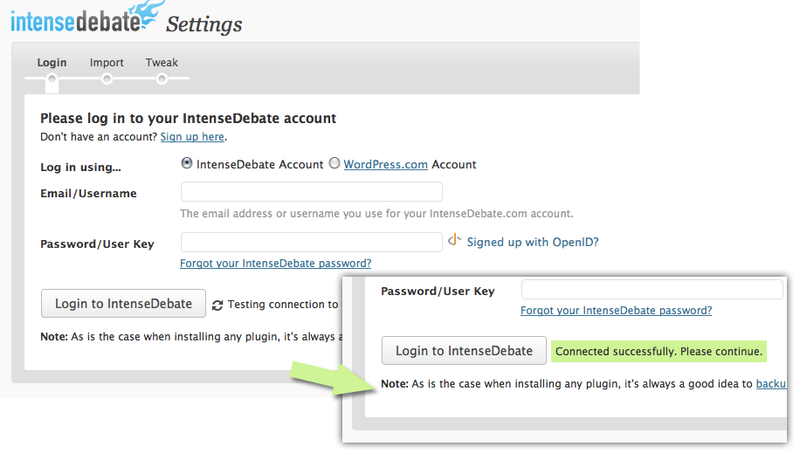 If you are already using IntenseDebate on your WordPress blog then you should see a plugin update notification in your admin dashboard soon. If you haven’t tried us out yet, then now is the perfect time, with our best plugin release to date! You can search for the plugin (“IntenseDebate Comments”) under Plugins > Add New, or download it directly from the WordPress Plugin Directory.